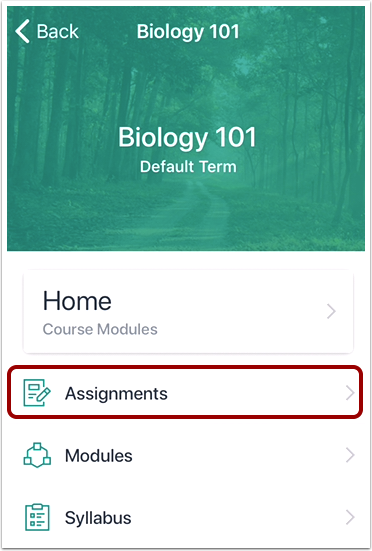 How do I resubmit an assignment in the Student app on my iOS device? 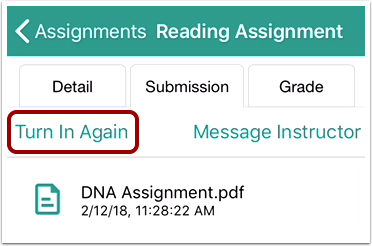 If your instructor allows you to resubmit assignments, you can resubmit an assignment. 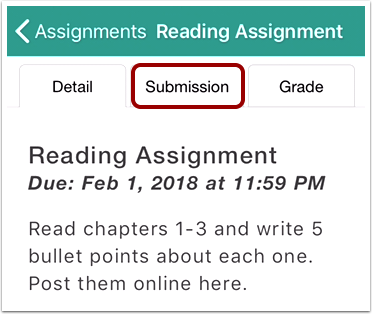 Note: You may need to swipe your screen to view the Assignments link. Tap the Turn In Again link. Previous Topic:How do I submit a PDF assignment with annotations in the Student app on my iOS device? 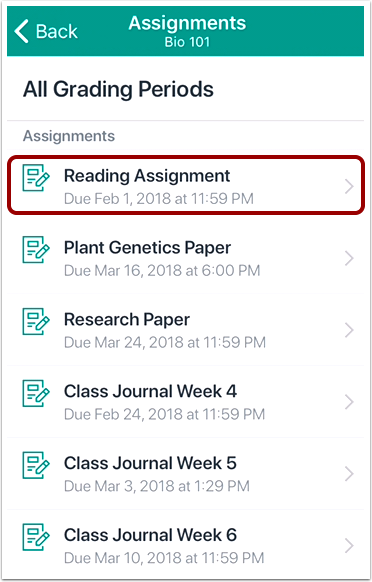 Next Topic:How do I verify my assignments were submitted in the Student app on my iOS device? 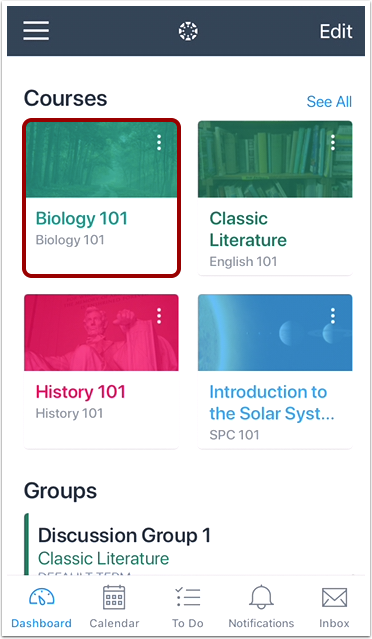 Table of Contents > Course Features > How do I resubmit an assignment in the Student app on my iOS device?